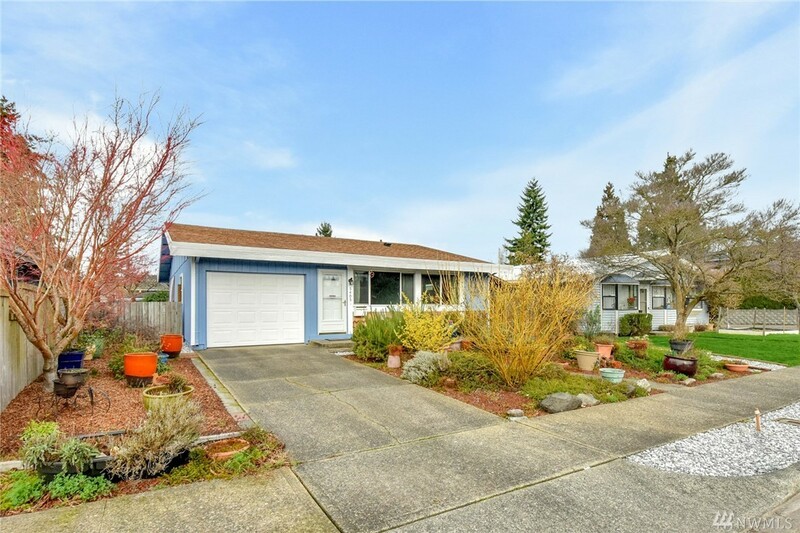 Well cared for rambler in North Tacoma. Beautifully updated kitchen is light and bright with quality maple cabinets, loads of storage and huge dining area. Updated bath, electrical & plumbing. Energy efficient: Vinyl-frame insulated windows , insulated attic & crawlspace. Attached garage. All appliances stay including newer washer/dryer. Pretty back yard has workshop, powered RV size carport plus two storage sheds, and alley access. Near schools, parks, shopping & Hwy 16 access. Come see!